HTC has announced two new smartphones in the Desire series called as Desire 12 and Desire 12+. These handsets will be coming in Black, Silver, Gold and Purple color variants and are priced at 200 Euros (Approx $246) and 250 Euros (Approx $307) respectively. Nothing is mentioned about the global rollout yet but will start going for sale in Europe from April. Both the handsets come with a glossy back and also features a liquid-surface design. The HTC Desire 12+ comes with 6-inch (1440 x 720 pixels) HD+ 18:9 display with 2.5D curved glass on top. To power the device there is a Snapdragon 450 14nm SoC processor with eight cores and 1.8GHz clocking speed, coupled with 3GB RAM and Adreno 506 GPU. The onboard storage on the device is limited to 32GB which can be extended further up to a maximum of 2TB via microSD card slot. The device will come out of the box with Android 8.0 Oreo with HTC Sense UI on top. On the rear, there is a 13MP camera with LED flash and is accompanied by a 2MP camera. There is also an 8MP selfie camera with LED flash and BSI sensor. The device supports 4G LTE connectivity and has a fingerprint sensor on the rear and also 2965 mAh battery to power the handset. 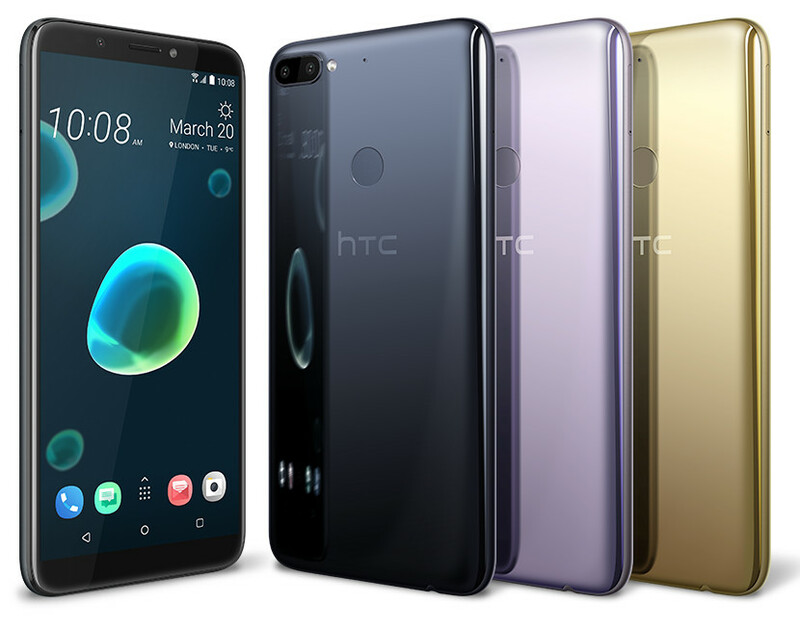 The HTC Desire 12 comes with a smaller 5.5-inch HD+ (1440 x 720 pixels) 18:9 display with 2.5D curved glass on top and under the hood there is a 1.5GHz Quad-core MediaTek MT6739 64-bit processor with PowerVR Rogue GE8100 GPU and 2GB of RAM. 16GB of internal storage that is extended up to 2TB (3GB RAM with 32GB internal). The Desire 12 features Android 7.0 Nougat and has a 2730mAh battery on the rear. There is a 13MP camera on the rear with LED flash and has a 5MP selfie camera. The connectivity option includes 4G LTE and it lacks fingerprint sensor. Are you planning to get any of these devices? Comment in the section below if you have any queries on the same and stay tuned to Android Advices for more updates.